Operating a toilet is made easy with the simple use of a handle to flush waste away. The handle triggers a flapper from inside the toilet tank, which is responsible for draining water and then refilling the toilet bowl with water. 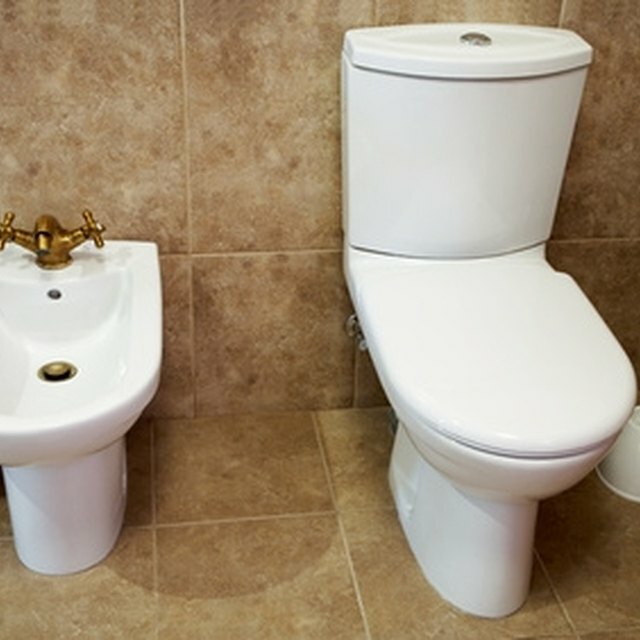 A toilet that continuously drains ends up adding to your water bill unnecessarily. Examine the tank of the toilet to troubleshoot and fix a toilet that keeps draining. Fixing the problem will save on the water utility bill, as well as putting to an end the annoying sound of water running. Pull up on the flush handle. When this handle is stuck in the down position, the toilet continues to run until it is pushed into the up position. Remove the tank lid located at the back of the toilet and place it on a towel. The lid is fragile, so handle with care. Shut off the water to the tank by turning the angle stop clockwise. The angle stop is located on the wall to the lower left corner of the toilet. Place the flapper over the flush valve opening in the tank. Check to make sure the flapper has become unattached from the chain on the float arm. If the flapper isn't completely over the valve, water continues to drain. Replace the flapper if realignment doesn't fix the draining problem. Flapper parts can be found at most hardware supply stores.